I love your Goosing story. What a great way and place to tell the story! Neither snow nor rain nor heat nor gloom of night stays these couriers from the swift completion of their appointed rounds. For more than 20 years, Doug Kraft has experienced every one of the above weather conditions to deliver mail. 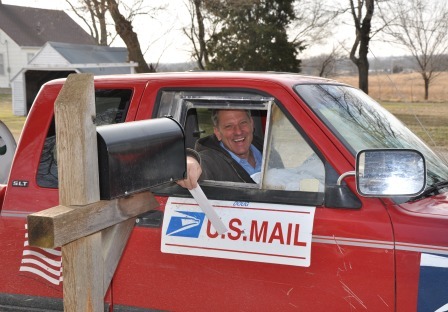 With over 74,000 mail routes in the United States, Doug has to drive farther than any other mail carrier. Daily, he drives 182.5 miles over mainly gravel roads to deliver mail to 258 homes which makes his the longest route in the country.